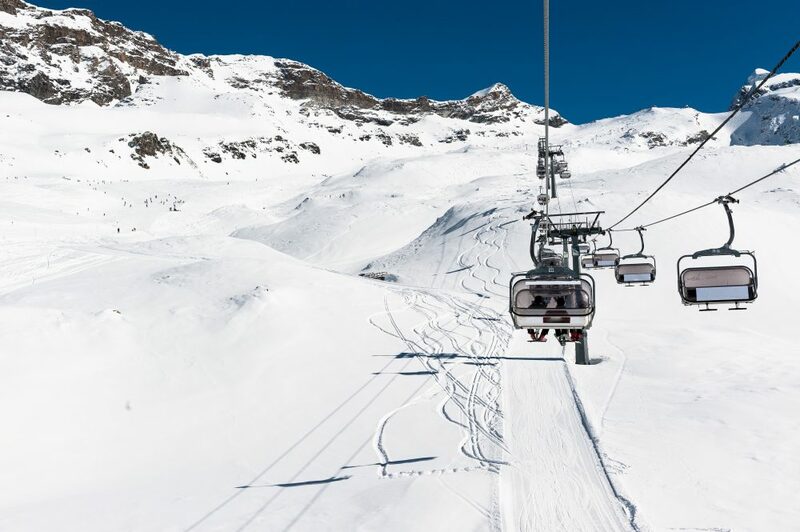 Cervinia is a superb choice of ski resort for groups of skiers and boarders looking for a snow-sure resort that suits beginners and intermediates outside of France. The village features a compact but lively centre with a wide range of cafes and bars. The chalets we feature here all offer very convenient ski access. Cervinia is located in the Matterhorn Ski Paradise ski area in Italy. The ski area provides direct access to Zermatt as well as Valtouneche. The skiing in Cervinia is the polar opposite to the skiing in Zermatt. It offers a wide range of flattering blue and red pistes which suit beginners and intermediates perfectly. 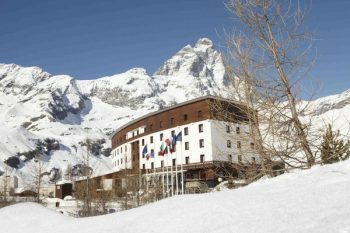 For experts, Zermatt is easily accessed too so there is something here for all levels of skier or boarder. 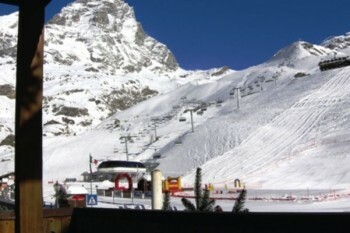 Cervinia also has a far superior snow-park to Zermatt! The resort itself is high altitude, snow sure and many of the chalets and hotels here provide ski to the door convenience. 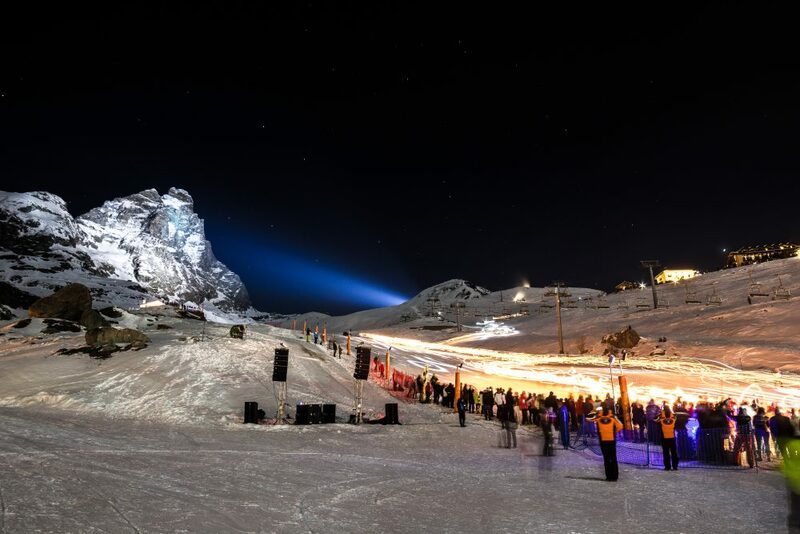 Whilst it doesn’t have the sheer number of restaurants and bars over the valley, there are some really lively apres-ski bars on the main snow front and some wonderful Italian eateries too. Cervinia is the perfect destination for skiers looking for long, cruisy red and blue runs. It doesn’t really have anything for an expert skier looking to challenge themselves however thanks to the proximity or Zermatt, a real haven for experts, it still has plenty to offer. The highlight in Cervinia has to be the Ventina run, an 8km leg burning extravaganza. The first port of call has to be the Dragon, an informal apres-ski bar underneath the Chalet Dragon. The bar has a superb terrace, a really popular spot on a sunny day. We also like Bar Gasoline which is a more lively affair with late night opening. There are many other superb options to be found in the small but lively village centre, including lots of cafes and restaurants suiting all budgets.